Demonstrating audio equipment to students. “Dr. 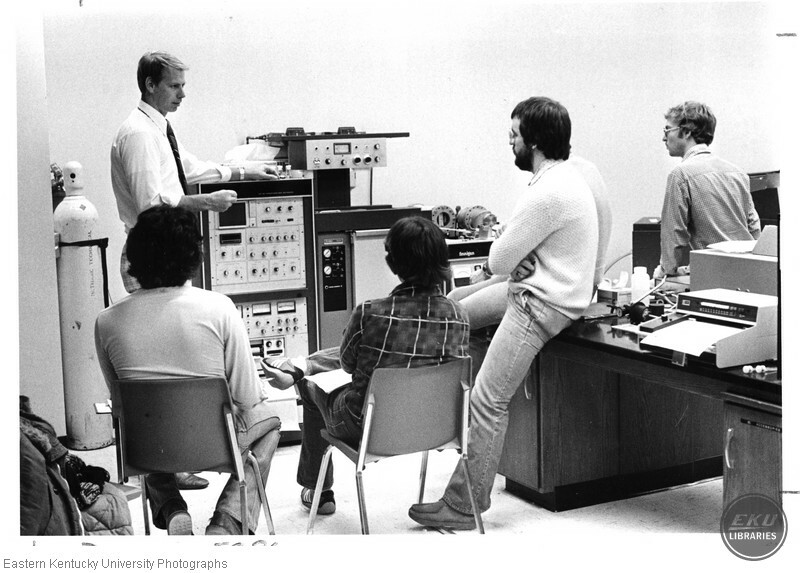 Fraas (left standing) teaching forensic analysis class,” Digital Collections, accessed April 26, 2019, https://digitalcollections.eku.edu/items/show/34571.